Nagatoro, situated approximately two hours from the center of Tokyo, is a tourist sport surrounded by a beautiful natural environment. 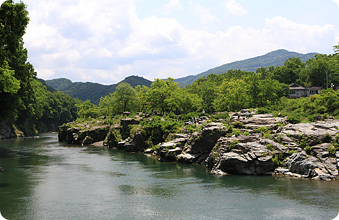 Nagatoro has something to offer all year round, including Iwadatami Rocks, designated a natural monument, the venerable Hodosan Shrine, seasonal flowers, hiking and water sports, such as white water rafting down the Nagatoro River. The area immediately surrounding Nagatoro station also makes for a pleasant walk, offering a large variety of eateries and gift shops. 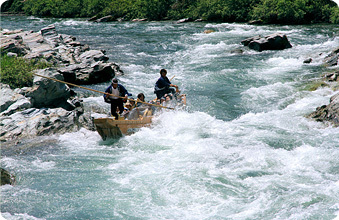 Rafting down the Nagatoro River is one of the main attractions in Nagatoro. The boats piloted by skilled boatmen glide smoothly through the calm sections of the river so you can enjoy the pleasant scenery and also provide a thrill down the river rapids. In addition to the Iwadatami Rocks, designated a natural monument, passengers can enjoy some breathtaking scenery that is always changing with the seasons along the river’s banks. 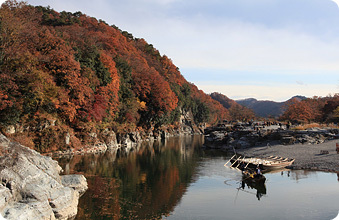 *Heated boats that tour around the Iwadatami Rocks are available through winter. 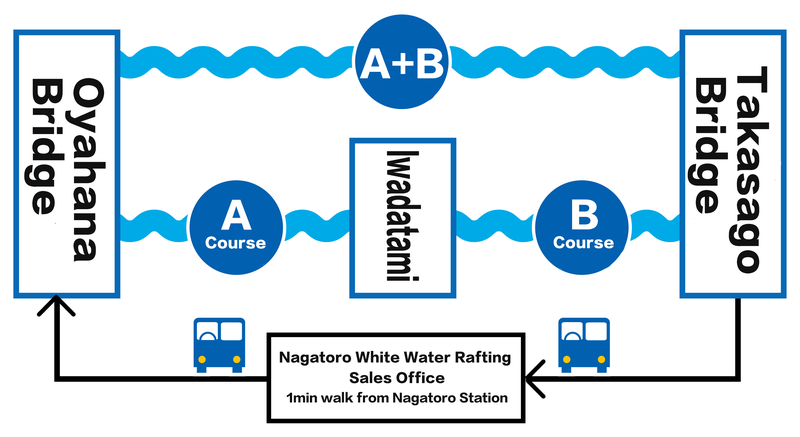 Purchase a ticket at the Nagatoro White Water Rafting Sales Office located in front of Nagatoro Station and you will be escorted to the boarding area. 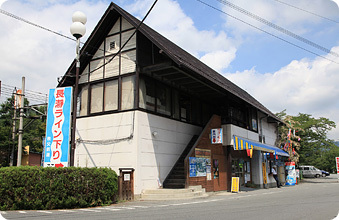 Customers can be dropped back at Nagatoro Station after the tour. The Hodosan Ropeway has a total length of 832m, taking approximately five minutes to travel to the summit of Mt. 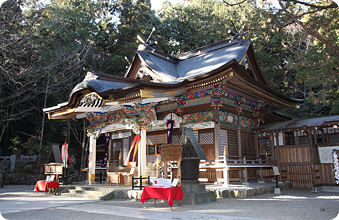 Hodo, located 497m above sea level from the Sanroku Base Station. 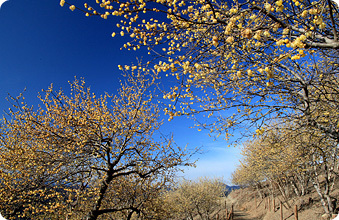 The Summit Station is surrounded by seasonal flowers, including chimonanthus, Japanese plum, rhododendron and winter cherry, offering a spectacular view of beautiful flowering trees together with the view of the Chichi Mountain Range. *Times are subject to change depending on the season. 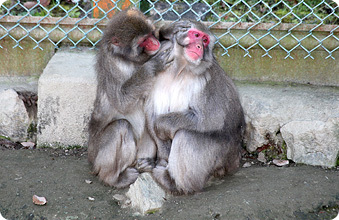 The Chichibu Hodosan Zoo, located at the summit of Mt. 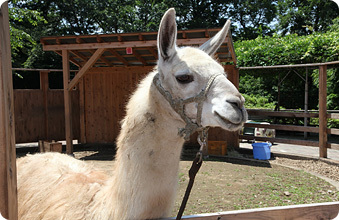 Hodo allows you to get up close and personal with a range of animals, including the Japanese monkeys and deer. ◎Operating hours: 9:40 – 17:00　*Tickets are available for sale up until 30mins prior to closing. ◎How to get there: 20mins walk from Nagatoro Station on the Chichibu Railway. 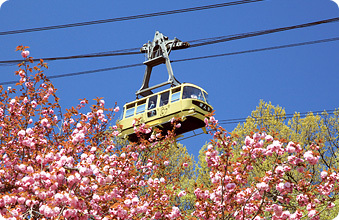 Use the Hodosan Ropeway to ride to the Summit Station. 7mins walk from the Summit Station. 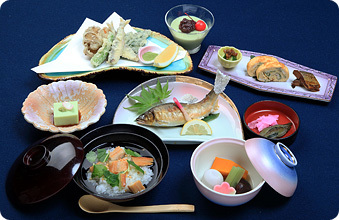 Club Yurin offers a range of local cuisine made using ingredients sourced from around the Chichibu region. Special seasonal menus allow diners to experience a variety of seasonal flavors all year round. 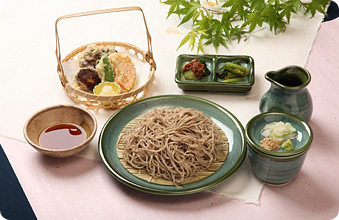 Enjoy a range of seasonal dishes, including chilled somen noodles in summer, udon noodles in winter, and a specialty of the Nagatoro region, soba noodles, all at affordable prices. 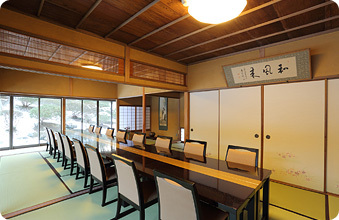 Copyright © Chichibu Railway Co.,Ltd. All Rights Reserved.